Regular dental cleanings and exams are a crucial part of preventive care. During these visits, we can remove plaque and tartar from the surface of teeth to protect your smile from gum disease and tooth decay. We can also screen for oral cancer and identify abnormalities in their earliest and most treatable stages. At Dentistry at the Heights in Brooklyn Heights, NY, we believe that education is one of the best ways to empower our patients. We can demonstrate good brushing and flossing techniques and review your dietary choices to help keep your smile healthy between appointments. We typically recommend patients schedule exams and cleanings every six months. During your examination, one of our doctors will thoroughly evaluate your teeth and gums. They will check for signs of excessive wear on your back teeth, which could indicate temporomandibular joint disorder or bruxism. If your gums appear to be inflamed or infected, or we notice pockets forming around the teeth, we can design a long-term gum disease treatment to improve your periodontal health. We also conduct an oral cancer screening as a part of each routine exam. This can help our doctors detect atypical cells early on and recommend the best course of treatment. The screening involves a visual examination of your tongue, cheeks, lips, gums, and palate. Sores or white patches could be signs of oral cancer and should be evaluated as soon as possible. Digital X-rays: Digital imaging minimizes exposure to radiation and delivers high-quality scans. DIAGNOdent®: This handheld device uses laser fluorescence to detect even the smallest of cavities. Intraoral cameras: These tiny cameras allow our doctors to see into the crevices between and behind teeth to more accurately diagnose conditions. Cone beam computed tomography (CT) scanner: We may use our cone beam CT scanner for a more comprehensive picture of your smile. This device can take high-resolution 3-D scans of your teeth, soft tissues, bone, and nerve pathways. We are proud to provide our patients with the highest quality of care. Our team handles each case with the utmost consideration and will recommend treatment that is in your best interest. We also conduct an oral cancer screening as a part of each routine exam. To restore brilliance to your smile, your hygienist can perform a professional cleaning. We can use special tools to remove plaque on the surface of your teeth, which can cause serious periodontal issues or cavities if left untreated. We can then polish your teeth to eliminate surface stains. For your comfort, we offer noise-canceling headphones that feature music streaming on Pandora®. Depending on the condition of your gums, we may recommend a deep cleaning. This procedure involves removing harmful bacteria and plaque from below the gum line. Your hygienist can take the time to answer any questions you may have about the treatment process. Routine cleanings and exams can help you maintain healthy teeth and gums, as well as a bright, beautiful smile. 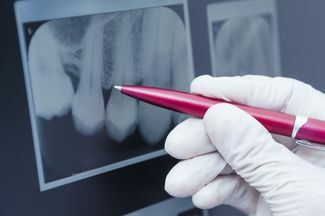 These visits can also reveal underlying oral health issues before the onset of painful symptoms. To schedule your exam, please call our office at (347) 492-1018 or submit a contact form online.